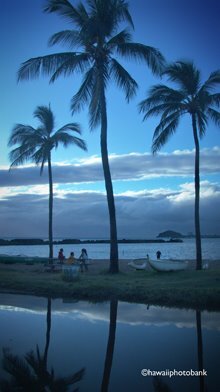 Hawaii has gone through many changes since the first G.I. families started showing up as tourists in the 1950s. 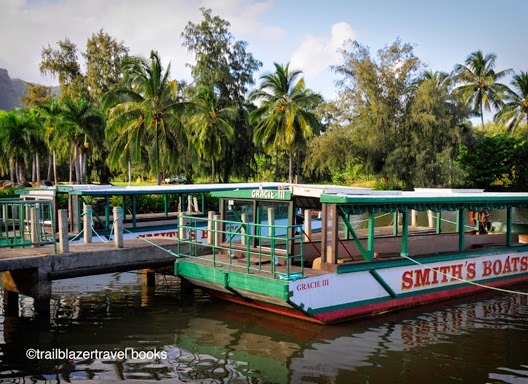 Thankfully, those changes bypassed Smith's Tropical Paradise on the wide Wailua River on Kauai. The Sleeping Giant, part of an adjacent forest reserve, still rests above the tranquil waters. And the boat-barges still depart the docks on short cruises to Fern Grotto, where fresh batches of visitors area serenaded by the Hawaiian Love Song, and then treated to a dance-along hula show on the homeward leg. Son Kamika Smith may have taken over for father Walter (Freckles) Smith, but the nightly luau (open bar!) and fiery Polynesian dance review remains one of the best in the islands. 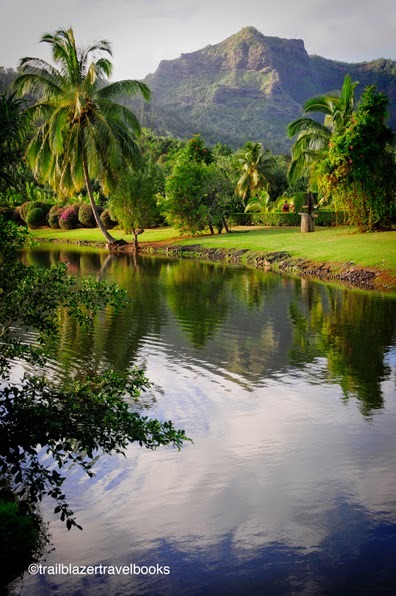 The tropical gardens surrounding all of this are highly underrated, sort of a mini Polynesian Cultural Center on Oahu, which is Hawaii's (high-cost) top attraction. Smith's is a must-do for visitors, easy on the wallet, and a true taste of Aloha. 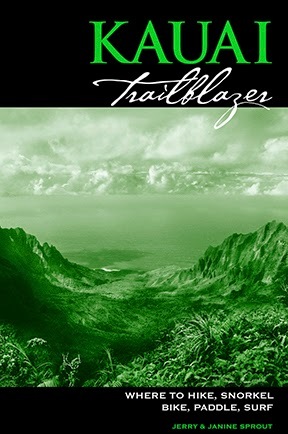 This fourth edition of Kauai Trailblazer comes 10 years after its first publication--and 25 years (!) since we first began exploring the Garden Island. 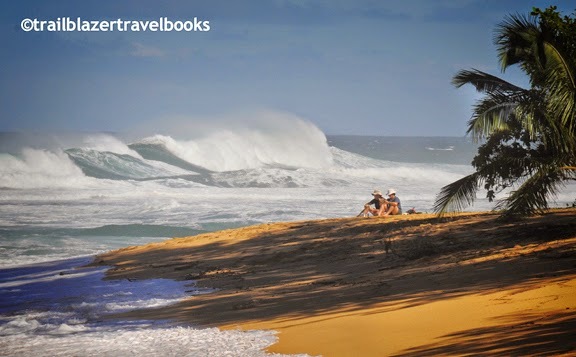 Widely recognized as the most user-friendly insider's guide to all the adventure activities on Kauai, a must-have for itinerary planning and making every vacation dollar count. To purchase a copy go to Amazon.com, BarnesandNoble.com, Powell's or your favorite bookstore. Aloha nui. This little cove dimpled into Kalama Park in Kihei on Maui has some of the best beginner's waves in Hawaii—so easy the whole clan can ride one longboard. Lessons are available from one of several guides. Darn! 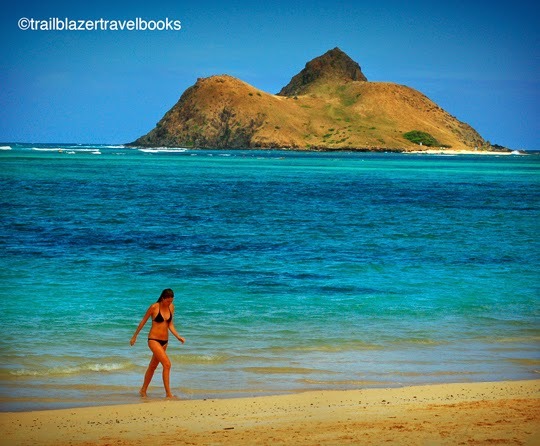 Hardly a day goes by at pretty Lanikai Beach on Windward Oahu when swimsuit models aren't hogging the sand, posing for one of the many magazine spreads that are photographed here. The aching blue waters, white sand, and cute little seabird islands all add to the visual allure. 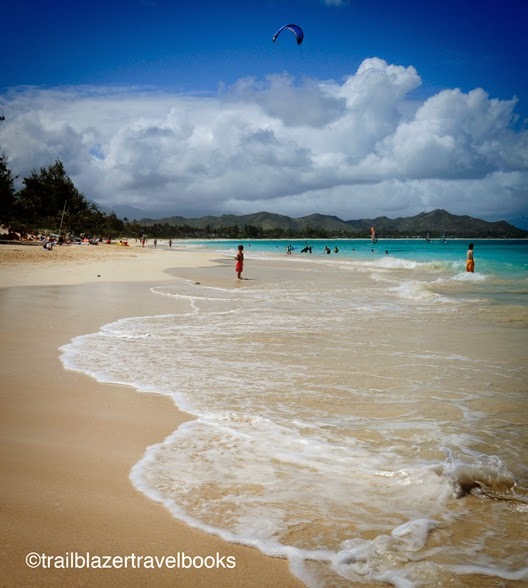 Lanikai sits in front of a trendy beach enclave of the same name and its sands curl around to blend seamlessly with Kailua Beach Park. Beachcombing, snorkeling, kiteboarding, surfing, and kayaking to nearby Flat Island entice visitors, tourist and local alike. 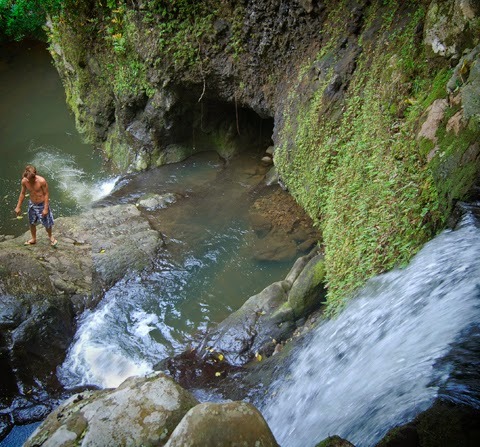 A hidden falls and pool on Maui?! Driving north of the Mendes Ranch the two-lane black top becomes a squiggly cliff-hanger. 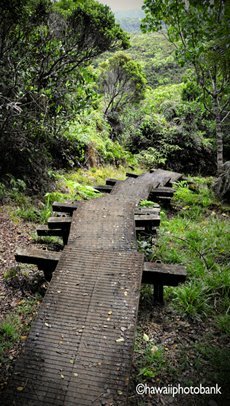 At one of the turns, near mile marker 7, is a little bridge and an unsigned trail that drops down a waterfall and pool. You'd never know it was there. 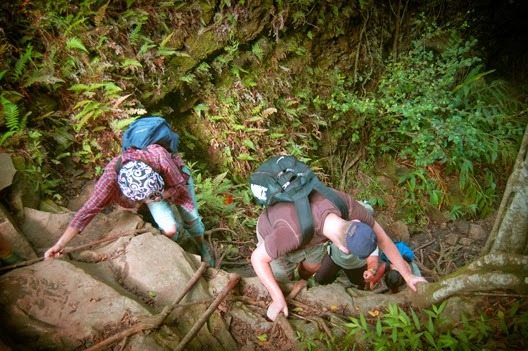 A scramble-down trail from the first falls (minor stream rock hop required) leads under the shade of massive banyan trees to a rock ledge. From there a rope aids the way down beside a second falls to a large swimming pool that opens to view down the overgrown stream valley. A few locals frequent the place, and a low-key adventure company shows the way to a smattering of hearty tourists. 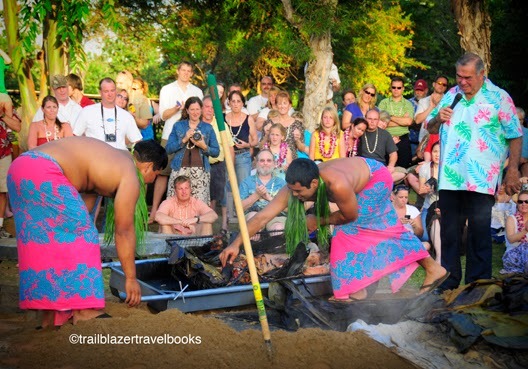 Maui Trailblazer has more details. 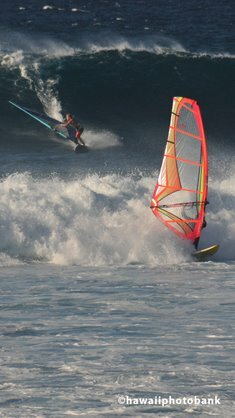 It's not much of a hassle or expense for spectators to find a spot at Hookipa Beach on the windward coast of Maui to watch some of the best windsurfers in the world. 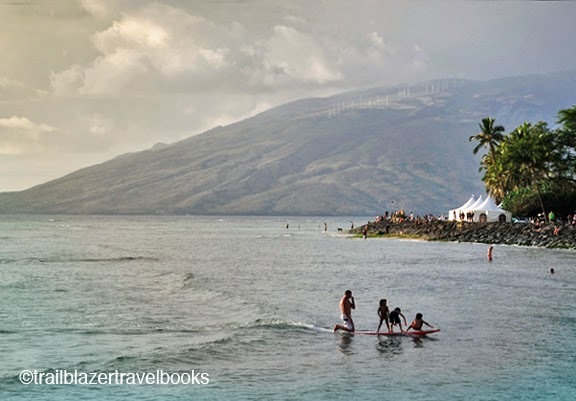 The sport originated here, near the laid back town of Paia. The wave-jumping fanatics do their thing off the bluff at the north end of the beach, while traditional board surfers ride a point break at the south, and along the narrow beach park in between the venues the two tribes gather in late afternoons to enjoy another day of livin' large at Hookah, er, Hookipa. 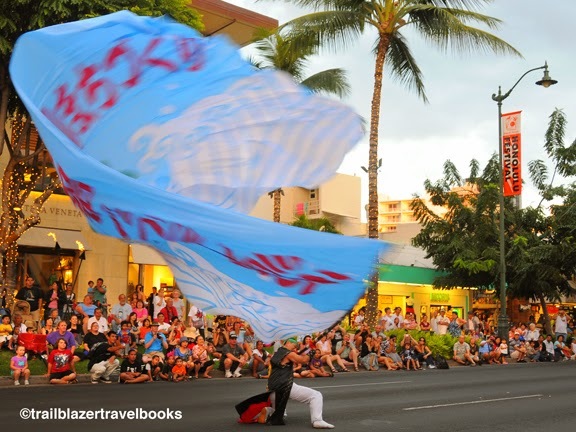 Waikiki is usually a pretty exciting place but goes off the charts when 10,000 performers from the other side of the Pacific show up for a week-long, multi-venue spectacle ending with a wild parade down Kalakaua Boulevard. Check out the special song "One Love" written for the event. Aloha begins at the airport when flying Hawaiian Airlines, the Honolulu-based carrier that consistently is at the top of the list for being on-time, handling your baggage, and getting raves from customers. Visitors wishing longer stays in the islands should also note that Hawaiian's low fares don't come with restrictions on how long you can stay. You really will feel your vacation begin as you put your seatback into its full upright position, receive instructions from flight crew who live in the islands, and then watch islandy travelogues while sipping a free pog (pineapple-orange-guava juice). 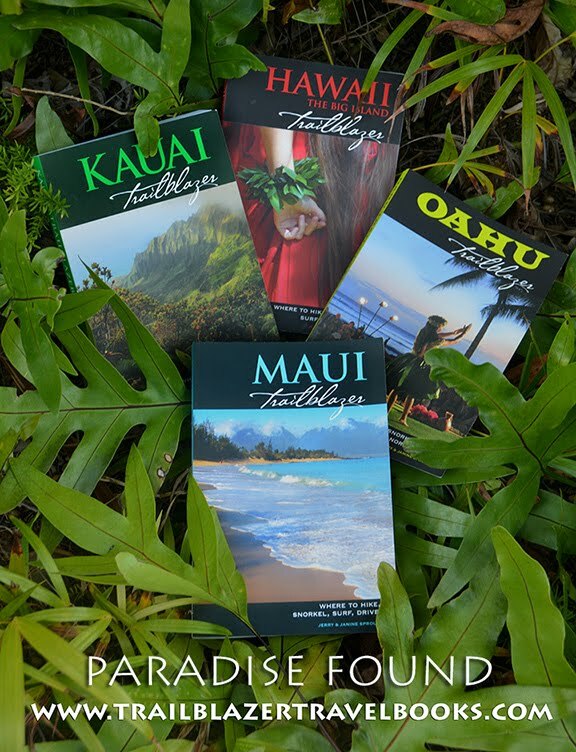 Hawaiian has numerous flights from all major and many secondary airports in the West. Most flights land in Honolulu, where you board a wikiwiki (fast-fast) bus to an outer-island terminal to connect to Maui, the Big Island, Molokai, or Kauai (unless of course you are staying in Oahu). Direct flights to Maui are available from Portland and Seattle. It's always smart to shop around when purchasing airline tickets, but unless you find a fantastic deal elsewhere, Hawaiian is the best way to get a vacation started. Be sure to check out their special web offers. We're all used to seeing surfers streaking down mountainous waves, but it should come as no surprise that wave fiends also like to get high on the surf by using their downward momentum to sail back up the wave crests—in much the same way that Olympic snowboarders ride the tube. During epic winter surf, the fine sand at this beach leaves overnight, like the gal in the country song. The sand, scrubbed white and clean, gradually returns - hence this park is also known as Magic Sands or Disappearing Sands. 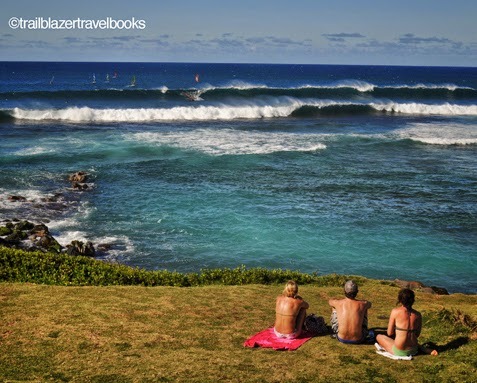 During low surf, the best snorkeling is at a rocky inlet south of the park. 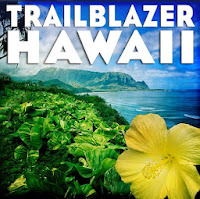 For complete directions, consult your Hawaii Big Island Trailblazer guide. It takes a keen eye, luck, and patience, but at several beaches on Kauai, fine jewelry quality shells are lying in the sand for the taking. The most expensive Hawaiian shells, the kahelelani shells come from the "Forbidden Island" of Ni'ihau (where only native Hawaiians live). Necklaces made of these shells by native artisans can fetch from $500 to $20,000, and are collected world wide. Shells like Ni'ihau's (but not as lustrous) can be found on several beaches in Kauai, mainly at Anini Beach and "Charo's Beach," near the Hanalei Colony Resort on the north shore. Collectors comb the shoreline, commonly at the edge of the surf line, and focus all day for a precious handful. Larger and more classically shaped sunrise shells can be found at Charo's, and at Lumahai Beach, where high surf can add an element of danger to this quiet pastime. 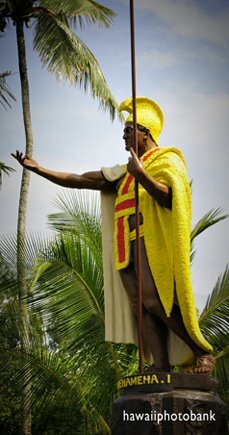 At age 32, in 1790, Kamehameha the Great built the enormous Pu'ukohola Heiau (temple) in honor of the war god Ku, and to celebrate a series of inter-island battle victories that had left him the first ruler of all the islands (except Kauai, at that point). 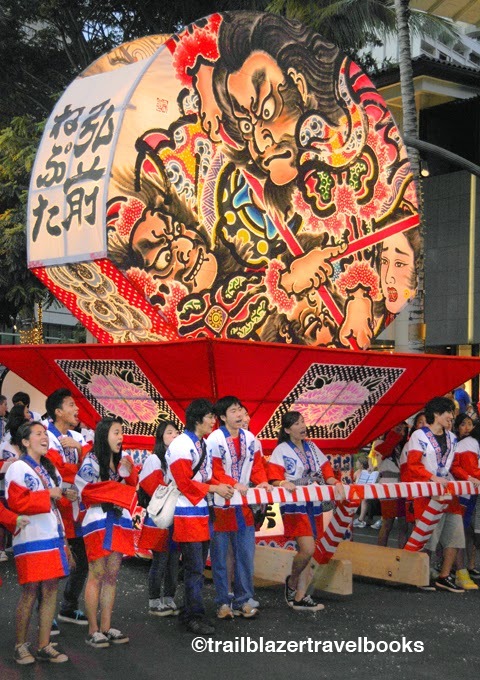 The great king (pushing seven feet tall and well over three-hundred pounds) toiled alongside the thousands of workers who hauled stone to complete the task. 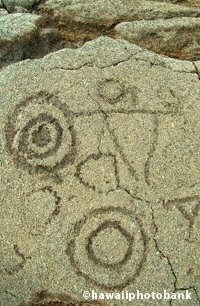 Pu'ukohola is now a National Historic Site, located next to Spencer Beach park on the north end of the South Kohala Coast. The ladder scaffolding pictured on one rock face is a replica of those used in original construction, but this one was put up to make repairs after a 2006 earthquake.